Even if you shoot using raw files, which are much more flexible during post-processing than JPEG files, it remains important to do a good job with your exposure at the time of capture. When you get right down to it, capturing a good exposure is a fundamental part of being a good technical photographer. There's more to photography than purely technical aspects, however, and there are creative ways to utilize exposure which may result in an image being "too dark" or "too bright" in terms of a technical exposure. 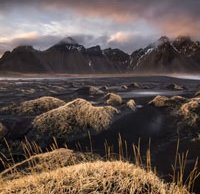 In the video below, photographer Nigel Danson discusses how to master exposure as a landscape photographer and explains how capturing a good exposure in the field informs how you are able to process your images when you get home, even if you end up making dramatic adjustments to the exposure during editing. When in the field, how do you capture a good exposure? There are two primary ways to control the exposure while you are shooting: adjusting shutter speed and selecting an aperture for your lens. The former controls how long light is able to hit your camera's image sensor and the latter determines how much light reaches the sensor. What makes an exposure a good one? Basically, you want to give yourself as much data as possible, which means having an exposure as bright as possible without clipping highlights. It's a bit difficult to tell when a highlight is clipped because your camera shows you a JPEG file rather than a raw image. Ultimately, the best way to find out what will work with your camera is by experimenting in the field and with the raw files in your image editor of choice. It's often the case that a correctly exposed image will actually look too bright on the back of your camera and when you first import into your photo editor. The histogram is also an important tool available to you while shooting and editing your images. The histogram converts the total range of tones, from black to white, into a graph. The left edge of the histogram is pure black and the right side is pure white, with everything between ranging from darker to lighter values of gray. The height of the histogram at any given brightness value corresponds to the number of pixels in your image which are that particular tone. The higher the peak at a particular value, the more pixels in your image which are that brightness value. When approaching the concept of a correct exposure, you may come across the term "expose to the right." What this means is that you want to expose your image such that the histogram in the camera is biased toward the right (bright) side. Your image will look bright, likely with blown highlights, when viewed on the camera but the raw file will be more flexible than the same image captured with a more balanced histogram. As Danson points out, there's not a "correct" histogram, but rather, a "best practices histogram." When Danson goes through his finished files, you can see that the histograms vary wildly depending upon the scene and overall mood he wanted to present. This is an important concept to remember when thinking about exposure. There is the process of capturing the "best practice" exposure when you are in the field, which as we have seen involves capturing as much data as possible. But there is also the creative aspect to exposure. There's nothing wrong with having an image that is "underexposed" if that is the look you are going for. Similarly, there's no hard and fast rule against having clipped highlights in your image.